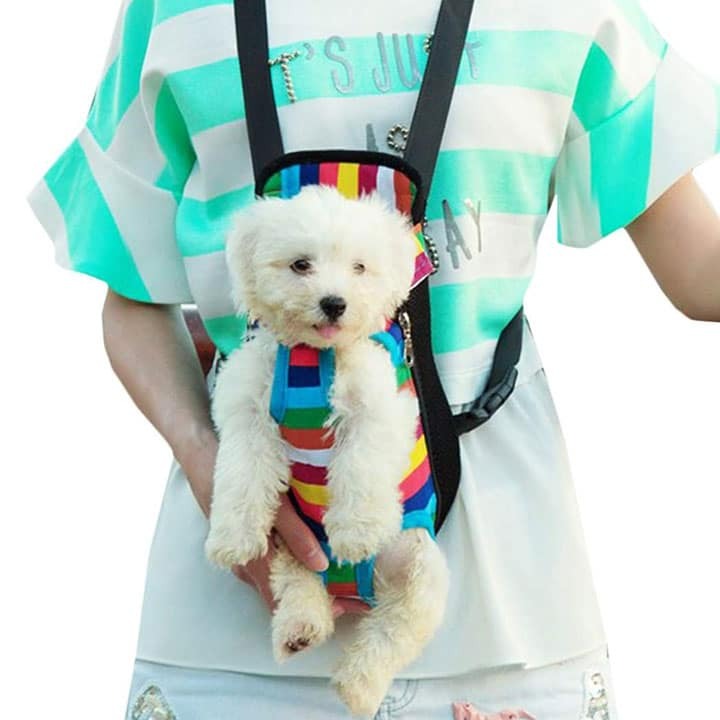 Dog backpacks are different from dog slings in that they affix to your back, or on the front of your chest and allow your dog to sit upright with legs and head out. 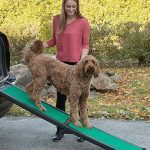 They allow you the maximum amount of movement while keeping your dog secure against you and easily accessible. 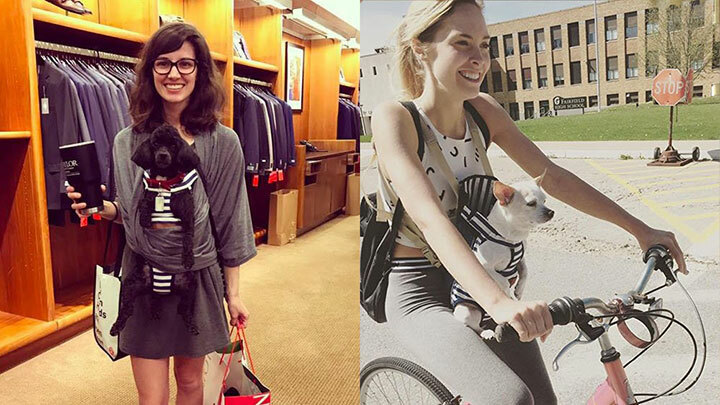 Dog backpacks are best suited for high-impact activities like biking or hiking, but can be used around the house as well. Of all the packs on this list the Kurgo G-train stands out the most. 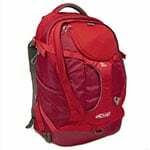 It’s ability to function as a traditional backpack and dog carrier propel it to the top of the list. 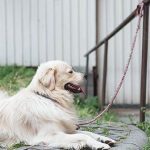 A proper dog backpack style should allow adjustment to the shoulder straps, leg openings, and head openings to ensure your pet is safe and comfortable. 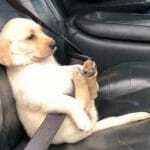 Too tight would restrict their circulation over time, while too much room could risk their safety. 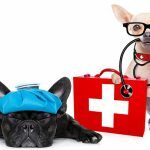 As with any wearable dog gear, you’ll want to ensure the fabric is cool and nonrestrictive on your dog. Without ventilation, they could more easily overheat. 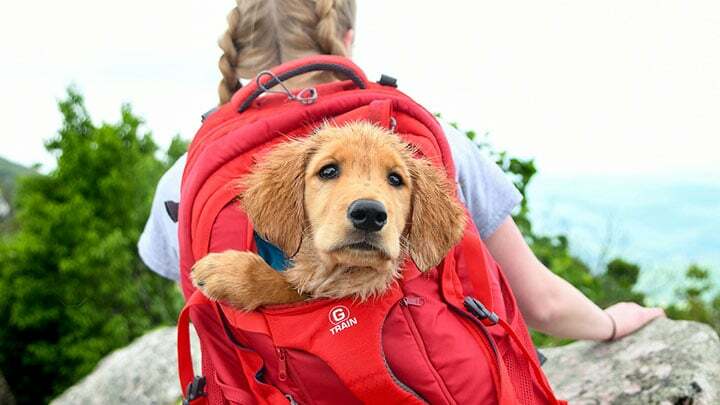 If using your backpack carrier outside, try to find a style with weather-resistant If it starts to rain, your pup may not be too happy if they get rained on. 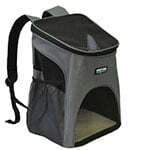 Many pet backpacks come with added storage pockets for small items. 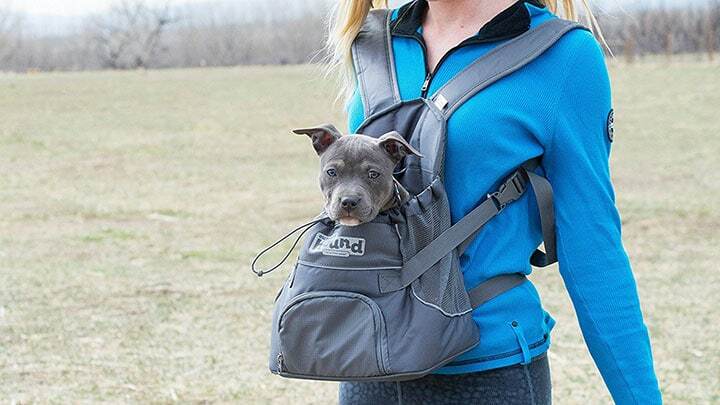 Since you’ll be carrying your dog on your hikes, you’ll want some added storage on their pack so you won’t have to haul additional bags or supplies. Above we talked about what made the Kurgo G-train our top pick, now it’s time to look a little closer at some of the others we like. 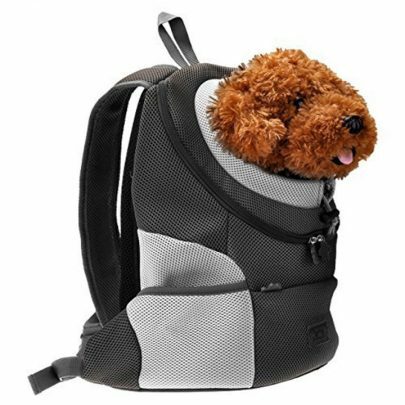 With a multi-strap backpack design, the Petsfit Comfort Dogs Carrier Backpack supports dogs that weigh up to 15 lbs. The oxford cloth fabric is easily cleaned and the removable padding can be washed. 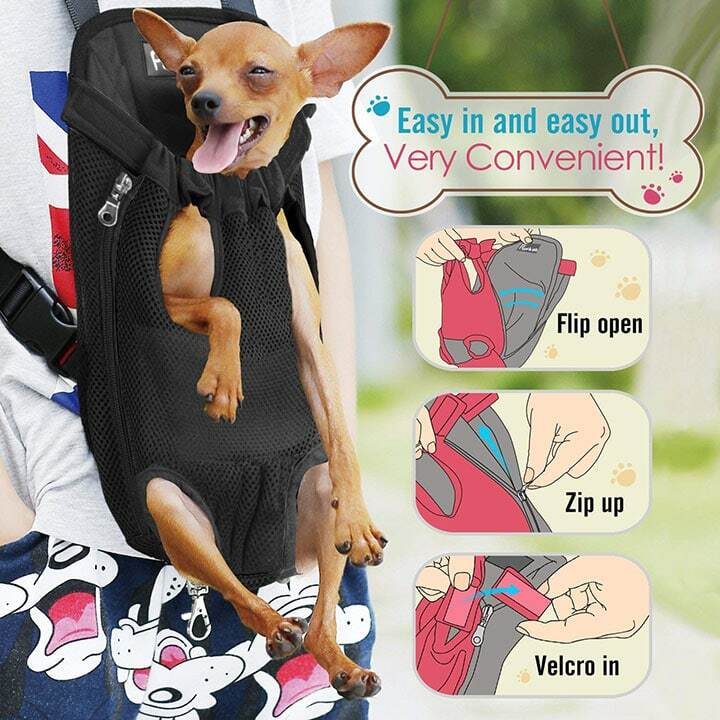 With a strap at the waist and the chest, you’ll feel your pet is secure. A front entrance and top entrance allow for accessible entrance and the mesh panel walls allow supreme ventilation. All you dog lovers will have to ignore the kitty in the picture; it’s the only picture we had! 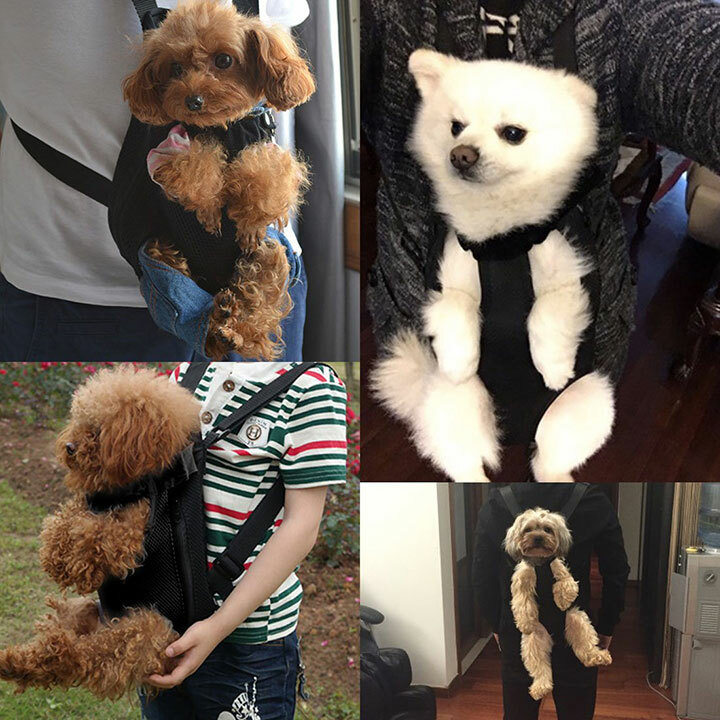 The KritterWorld Adjustable Pet Carrier Backpack is a durable nylon backpack perfect for toy sized dogs weighing up to 7 lbs. 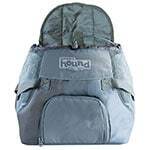 While small, this backpack has several great features, such as the soft-sided breathable mesh viewing windows, a built-in leash attachment, and removable fleece lining for easy care. Adjustable padded straps help keep you comfortable on your journey. 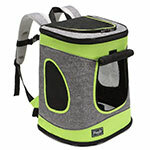 The Homdox Portable Dog Carrier comes in sizes small to extra-large and the largest size can support dogs up to 22 lbs. Reflectors and bright colors add to visibility for others around you on your walks. 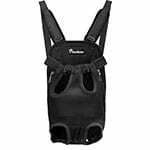 This carrier frees up your hands for tasks while keeping your dog safe and securely strapped close. 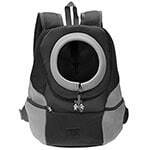 The Nicrew Dog Backpack is a front-style carrier excellent for small pets weighing from 4 to 22 lbs. 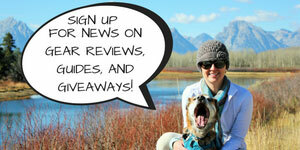 Four size options let you choose a custom fit for your dog. Zippered sides and a velcro neck closure allow for easy wearing and comfort. The mesh panels keep your dog cool, yet safe, as you hike or bike with them in tow. 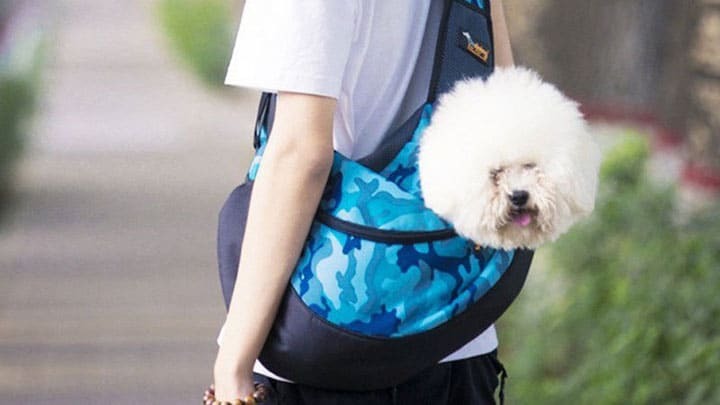 This top-rated Pawaboo Pet Carrier Backpack is available in eight different patterns and three sizes for a custom dog backpack. Made to fit pups up to 15.5 lbs., the Pawaboo is made from breathable mesh and canvas for durability and maximum comfort. Velcro, zipper and elastic leg openings stretch for comfort and release buckles on the end of the straps ensure quick install. The legs and tails out design keeps your pet safe and comfortable, while keeping your hands free for maximum movement. Another front carrier pack option is the Outward Hound Kyjen PoochPouch. Mesh sides allow for optimal airflow while the water-resistant nylon panels keep your dog safe and dry. 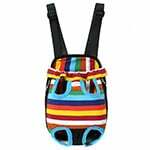 The padded straps, back, and bottom layer are comfortable for your dog and your shoulders. 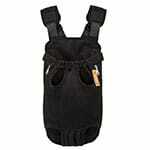 Suited for dogs up to 15 lbs., this is a great backpack option for small breeds. 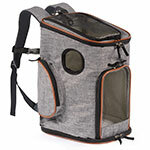 This soft mesh and oxford fabric CozyCabin Comfortable Dog Backpack is a high quality carrier for your small dog 12 lbs. or lighter. The buckle interior design connects with your dog’s collar to keep them secure, which the mesh window lets them see what’s going on outside or peek their head through on your journey. With multiple collar and sizing options, you’re sure to find a great fit. 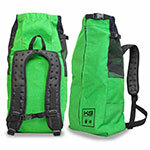 The K9 Sport Sack is a durable pack great for towing your dog along on bike treks. The wide mesh foamtek shoulder straps keep you cool while the 20mm thick bottom rest pad keeps your canine comfortable. 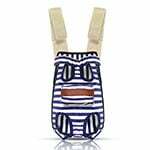 The stylish COODIA Front Pet Dog Carrier comes in patterned designs and in four different sizes. 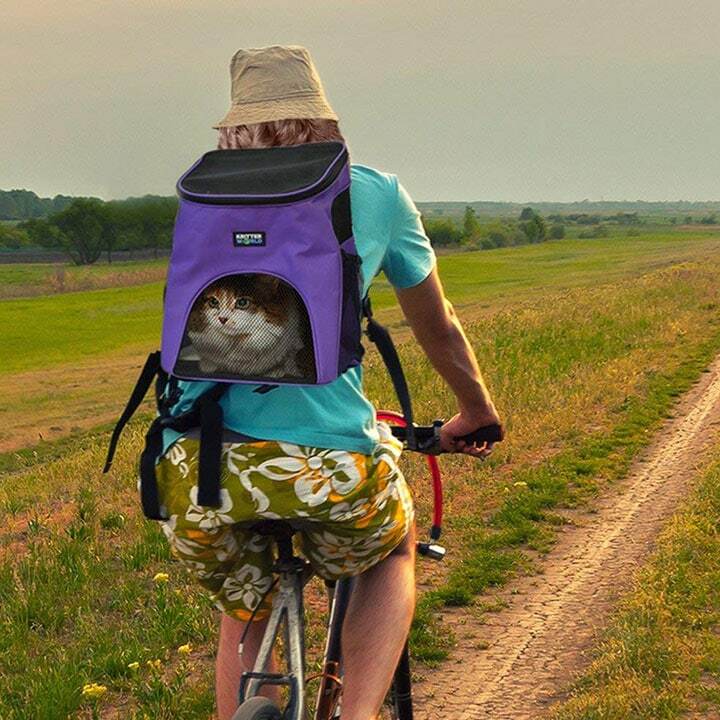 With zippers on both sides, you’ll be able to safely and easily load your pet into it for walks. 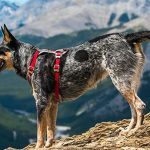 The built-in safe lock protects your dog from flopping or lunging out of the carrier and makes this harness carrier great for biking, shopping trips, and nature walks.